Super Fudge is my smallest Coenobita ecuadorian (E for short). Gender currently unknown. Super Fudge was a very energetic little crabby prior to his molt and several times a day he would be in the fresh water pool. Super Fudge came to me with black spot on his leg but I did not notice it before putting him into the main tank with the colony. I was living in temporary housing at the time due to a house fire and an order of hermit crabs arrived unexpectedly. 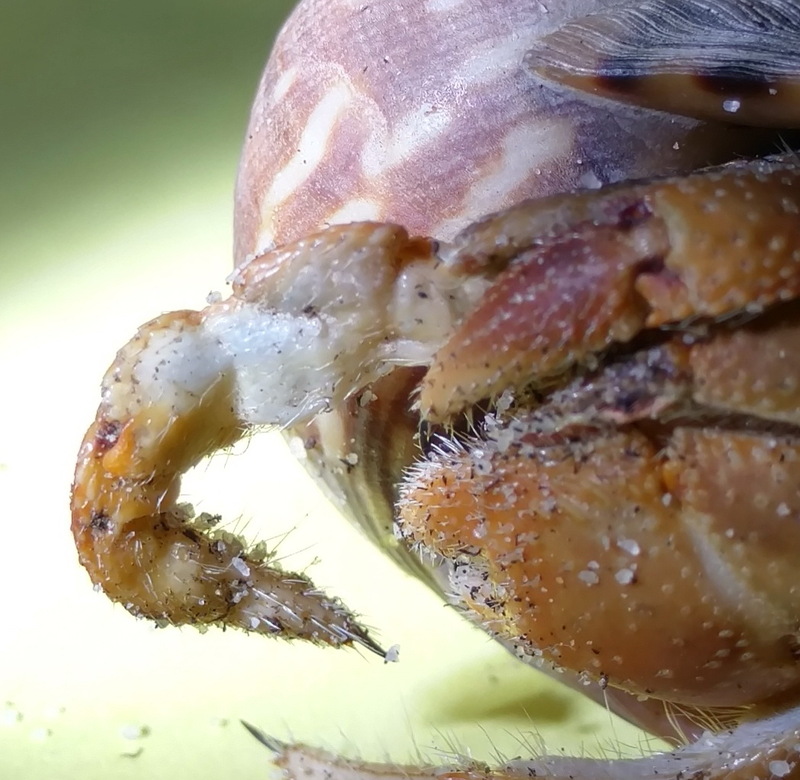 I highly suggest new hermit crabs be quarantined and inspected for mites or shell disease or you risk contaminating your entire herd and crabitat. Not cool. 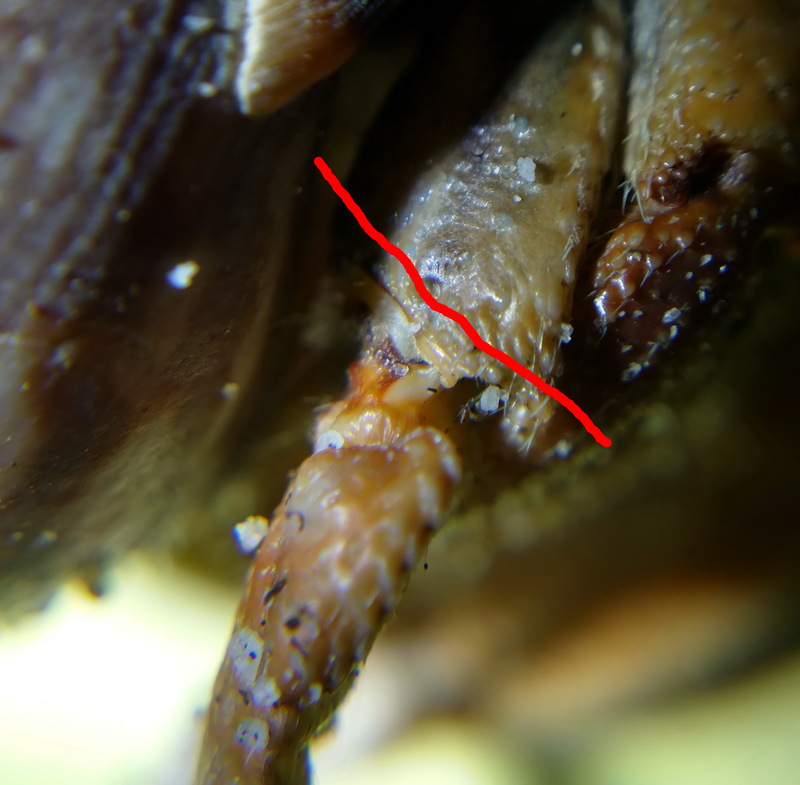 I knew Fudge was pre-molt and that the spot on his leg could potentially inhibit his molt significantly enough to trap and kill him. However, I could not bring myself to amputate his leg. I was hoping he would just drop the bad leg. 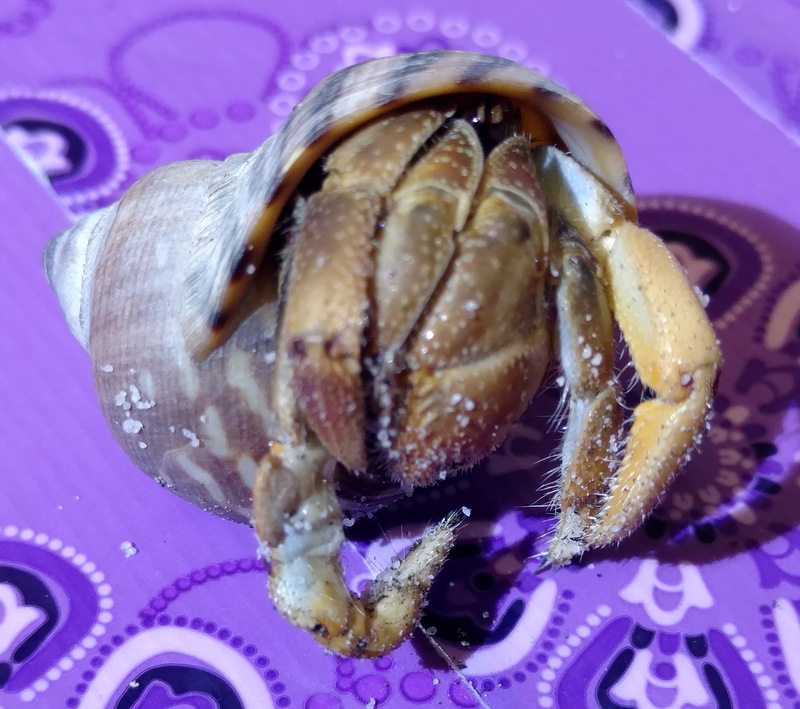 If caught early on, try our medicinal bath for hermit crabs to treat the shell disease. Super Fudge went down for molt on 1/20/2017 and resurfaced 3/5/2017. Alive but with a mangled leg and a bit of left over exo on the upper leg. No sign of the shell disease however! Hopefully Super Fudge will just drop this boogery leg and let a healthy new gel limb come in. I have missed this little one and am more than a little relieved to see him topside again. My sweet little guy did not survive his next molt. I did find what was left of his shell. Previous Post:Where is all the water coming from?